MIDDLETON, WI--(Marketwire - January 20, 2011) - Extreme Engineering Solutions (X-ES) announces the immediate availability of the XPort3300, a conduction- or air-cooled, dual 10 Gigabit Ethernet XMC with front-panel or rear I/O support. 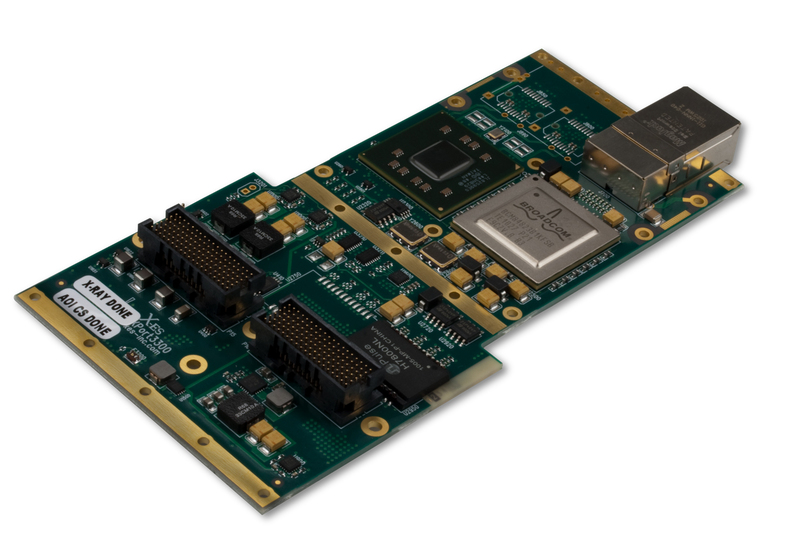 A x8 PCI Express 2.0 port provides a high-speed interface between the XPort3300 and the host module via the P15 connector. The XPort3300 is well suited to rugged, embedded-computing applications such as remote sensor interfacing, traffic aggregation, storage, and data offloading. The XPort3300 is engineered to scale from an air-cooled, commercial version (0 to 55ºC) to a rugged, conduction-cooled version (-40 to +85ºC) in accordance with appropriate environmental test methods. It comes with a guaranteed 4-hour technical response to all hardware questions. About X-ES -- Extreme Engineering Solutions, Inc. (X-ES) designs and builds chassis, single-board computers, I/O, power, backplane, and system-level products within the embedded computer industry. X-ES offers cutting-edge performance and flexibility in design, plus an unparalleled level of customer support and service. For further information on X-ES products or services, please visit our website at www.xes-inc.com, or call (608) 833-1155.